Dr. Ron A. Dolin is a Lecturer on Law at Harvard Law School and Senior Research Fellow at Harvard Law’s Center on the Legal Profession. Dr. Dolin teaches a course, first taught at Stanford Law School, on the impact of legal technology on the practice and nature of law. He is currently co-editing and authoring chapters in a forthcoming book on legal informatics to be published by Cambridge University Press, expected in 2019. Dr. Dolin’s areas of research include developing and analyzing legal quality metrics: definition, implementation, and assessment of the metrics; impact of standardized quality benchmarks and testing methodology on the legal system, including in-house selection and management of outside counsel, increasing access to justice, legal technology startups and general competition, latent middle-class market, and UPL regulations. Dr. Dolin’s research considers legal market analysis from the perspective of Innovator's Dilemma (Clayton Christensen, Harvard Business School) including the role of bar associations, incentives, business structures, and other factors impacting the adoption of, and barriers to, legal innovation. This research includes comparison of the legal profession with other sectors such as medicine, hi-tech, and consulting, including the use of standardized billing codes, quality metrics, and education. In addition to teaching, Dr. Dolin is also an angel investor, focusing on legal technology startups. 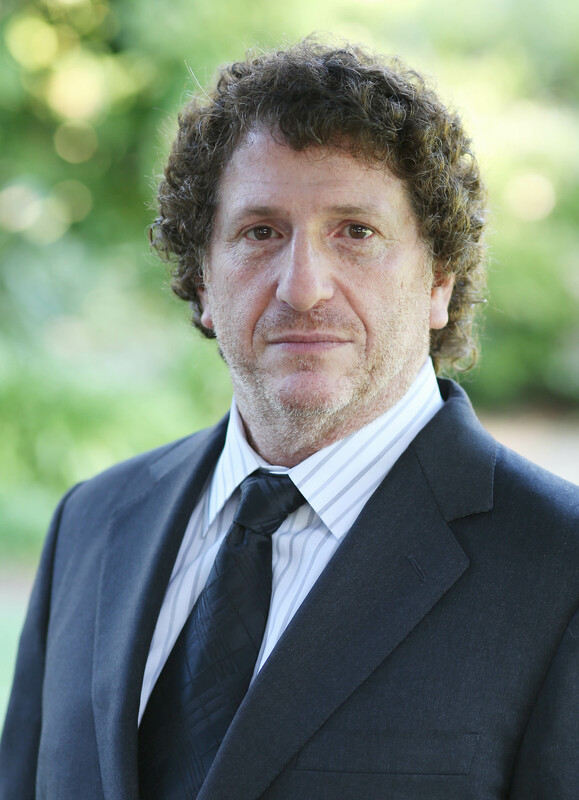 He has taught MCLE courses on document automation for the CA Bar, and was on the executive committee of the Bar’s Law Practice Management and Technology section. He co-founded the Program for Legal Technology and Design with his ex-student and Stanford alum Margaret Hagan and worked on legal innovation at Stanford Law’s Center on the Legal Profession. Ron has been asked to participate on panels and give talks at universities and organizations such as Stanford, COLPM, ILTA, ACC, and CLOC on issues related to legal technology and innovation. Ron was selected as one of the 2014 Fastcase 50, and 2014 ALM Recorder’s Innovator Award recipient. Ron A. Dolin, Measuring Legal Quality (June 18, 2017). This paper provides an overview of the purposes for quality benchmarks of legal work, and related formalisms and their properties. Ron A. Dolin & Thomas James Buley, Adaptive Innovation: Innovator's Dilemma in Big Law (Apr. 12, 2015). Big Law has been described as being in the throes of a painful transformation brought about by factors such as the increased use of technology, globalization, and a transition from a supply-driven market to a demand-driven one. A common framework for such upheaval is Clayton Christensen’s The Innovator’s Dilemma, which generally portends an inevitable collapse of market incumbents when they cater to the performance requirements of their high-value customers’ demand. Big Law is not immune from the principles of The Innovator’s Dilemma. However, neither the disruptive nor sustaining innovation described in Christensen’s work seem to adequately characterize the changes occurring. In this paper we describe a hybrid model, “adaptive innovation,” that takes into account the opposing forces in play. As with most other sectors, lawyers have argued that Big Law is different. This paper reviews some of the most cited factors predicting and denying the demise of Big Law. We argue that market-imposed values such as quality, efficiency, and ROI will likely dominate over reputation and comprehensiveness, forcing a fundamental change in many common features of Big Law. However, law firms will likely remain an inevitable mechanism for the delivery of many of the services currently occurring there, albeit under a different model. Ron A. Dolin, Search Query Privacy: The Problem of Anonymization, 2 Hastings Sci. & Tech. L.J. 137 (2010). Search queries may reveal quite sensitive information about the querier. Even though many queries are not directly associated with a particular person, it has been argued that the IP addresses and cookies of the users can often be sufficient to figure out who the querier is, especially if tied to information from ISPs regarding IP address assignments at the time of the relevant query. Given that the queries have been subject to discovery both by various governments and third parties, there has been great concern for how to keep such queries private. A typical approach to such privacy legislation, especially in Europe, has been to require either destruction of the data so that it is no longer available for discovery, or anonymization so that it cannot be associated with a particular person. This solution has never been proposed for personal data such as medical information used by doctors or financial information used by credit agencies. Instead, there seems to be an assumption about these types of data that their long-term storage is necessary and/or beneficial to the individual associated with them, or at least to society at large. The framework for maintaining the privacy of these data turns on safeguards where it is being held, user control of its retention and accuracy, and strict legal limitations regarding its discovery. This article briefly reviews a few legal frameworks for data protection both in the U.S. and in Europe. It presents several arguments that the deletion or anonymization of search query data is problematic, and describes a framework similar to the way we handle health data that is more beneficial to all stakeholders. Such an approach would lead to a more uniform solution to data protection in which maintaining search query privacy would not sacrifice the benefits of long term, confidential storage of the data.